If you’re planning on taking your vacation at Hot Springs, Arkansas and have no idea where to go, be sure to visit the Hot Springs Visitor Center. The Visitor Center is a great place where you can get all the necessary information you may need to plan your vacation. The friendly staff will be more than happy to assist you. 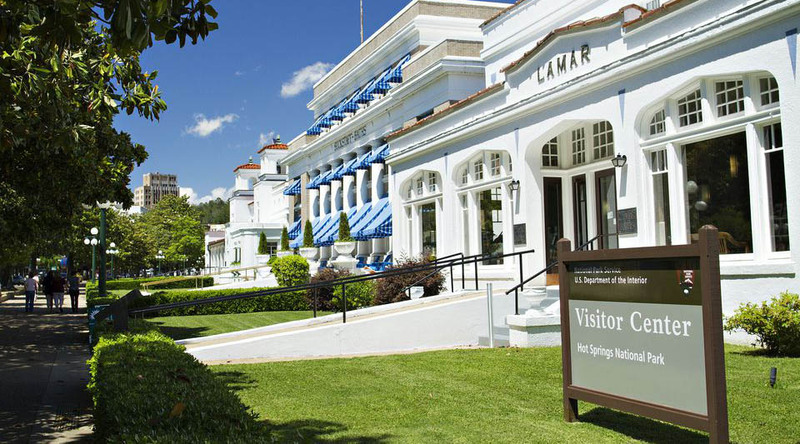 Housed at the former Fordyce Bathhouse in downtown Hot Springs, while also functioning as a museum, a visit to the Visitor Center can also be part of your Hot Springs adventure. You can tour the building and check out the displays regarding bathhouses and the city’s history. Some movies about the park’s history are also shown to supplement the exhibits. The Visitor Center has plenty of resources at their disposal to better assist you in your Hot Springs vacation experience. They offer group tour packages to guide you to the best spots to visits around the city. If you prefer a more personal touch, however, you may also grab travel guides, brochures, and maps inside the Visitor Center. Whether you’re feeling lost and don’t know where to begin your Hot Springs adventure or you’re just looking for additional information and tips, visiting the National Park Visitor Center is always a good idea. Drop by 369 Central Avenue, Hot Springs, Arkansas to check out the Hot Springs Visitor Center.